Best Software to Recover Deleted, Formatted & Corrupted Files in Windows 10, 8, 7 etc. 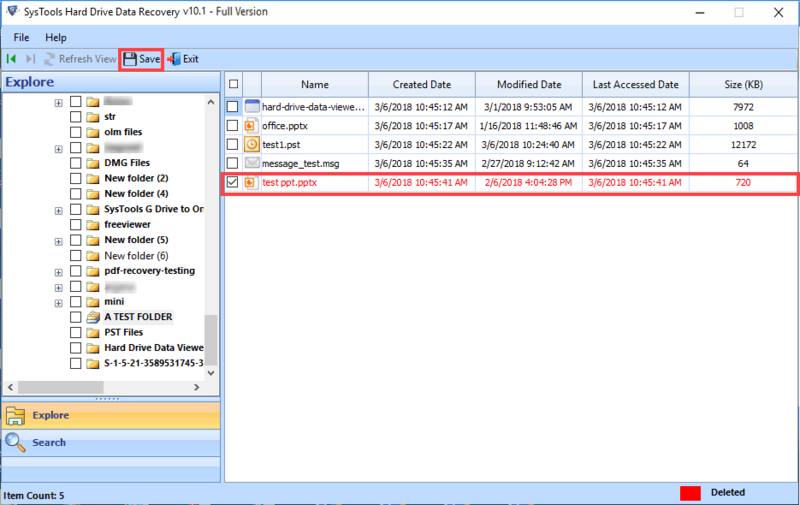 The Windows File Recovery Tool is designed to recognize all the partitions or drives being used on a Win PC. It collects all their information and displays for users to see. This includes details about the drive details make and model number. Even the free and total space available is mentioned. 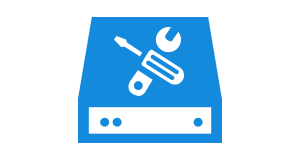 The utility is designed to fix any and all errors encountered when using a Win PC. It retrieves all primary(C:/) and secondary drives(D:/, E:/, G:, F:/etc.) of any size. The Windows File Repair tool even restores data from an accidentally formatted partition. It can remove any corruption from even a highly damaged drive. The program can get back all accidental and shift+deleted data. It restores all document, photos, music and large media files stored on a drive/partition. The retrieved items are displayed in a separate folder on the left side. 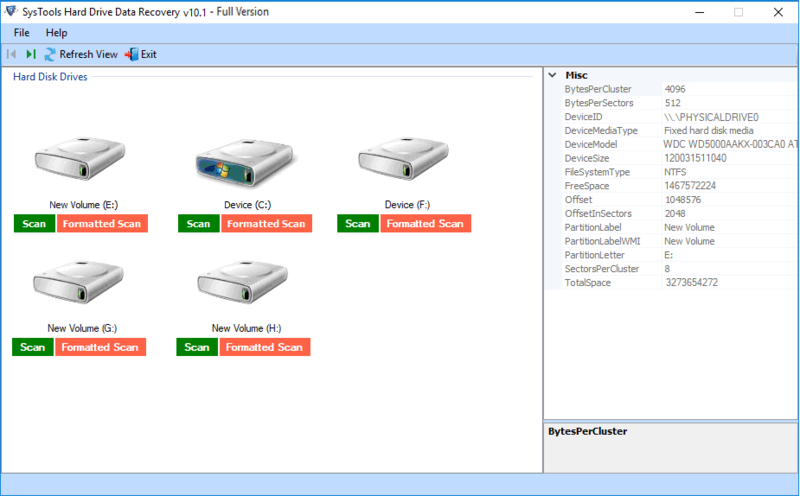 The Windows Data Recovery Software works with both NTFS and FAT formatted partitions. 1. 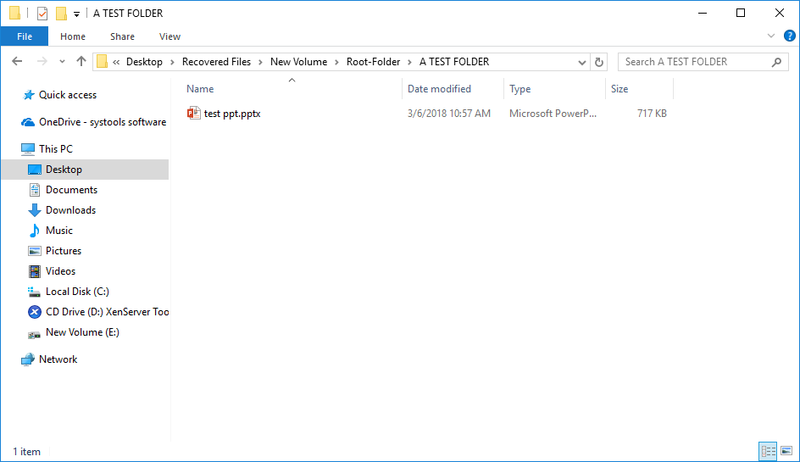 Scan: It will recover normal deleted and permanent deleted windows files. 2. Formatted Scan: It will restore the lost files after formatting windows. 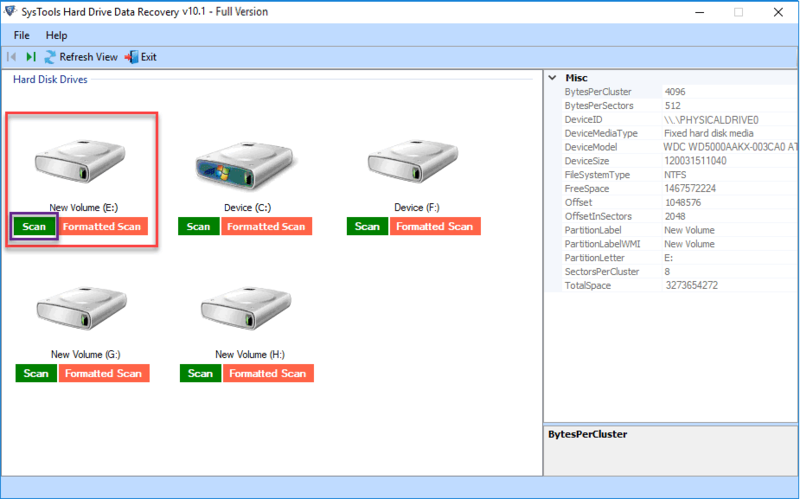 The Windows Data Recovery Tool displays all files and folders stored in the selected partition. It even mentions the file properties like size, type, creation and modification date of the files. Selective files can be extracted individually from the centre pane. Entire folders can be saved from the left tree-view. 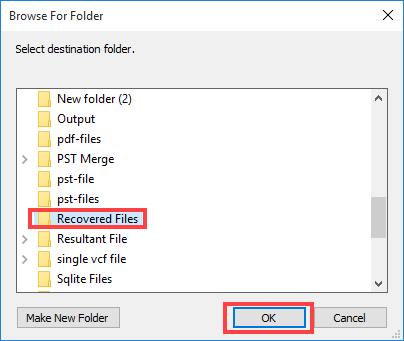 The windows corrupt file recovery software can locate missing or hidden files within a Windows partition easily using the program. Identify each item based on a keyword or a phrase. Date filters can be used to restrict the search to a time period when they were created or last modified. One can just set a ‘to’ and ‘from’ date to simplify searching. Can the software also work on Windows server 2008 machine? Yes, the Windows File Recovery Software is compatible with all versions of Win OS 10, 8, 7, Vista and XP. It can also work on Windows server 2008 and 2012 machine. 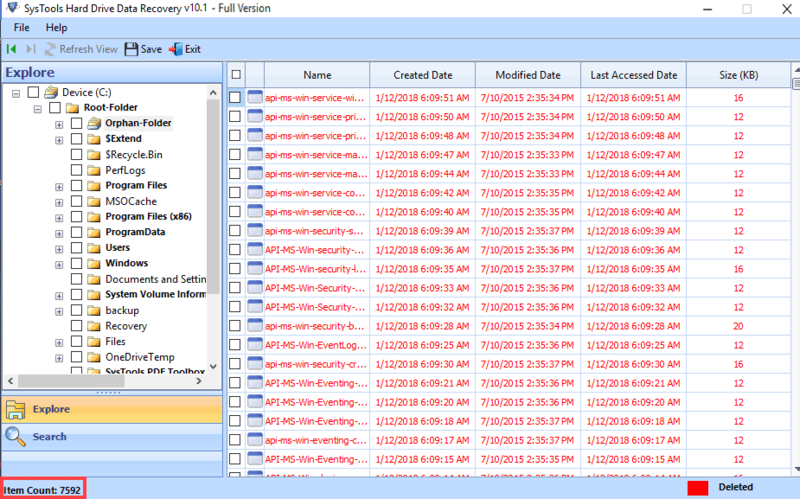 Is there a size limitation to the number of files that can be restored using Windows File Recovery Tool? No, there no such limit to how many files can be saved using the tool. It is capable to recover lost data from any size drive. Can the software retrieve folders and sub-folders maintaining hierarchy? Yes, complete data integrity and folder structure are maintained during extraction. Can the program also remove error “hard drive cannot be accessed Windows 7”? Yes, the algorithm is designed to remove all types of errors and enlist them for preview. Will there be any kind of data changes in the restored files? No, Windows File Recovery utility gives 100% accurate results with no data changes or loss. First, download and install the Windows File Recovery Software on the system. Then, launch the tool and hit Scan Disk from the menu bar. All the partitions currently on the system will be displayed for a user to see. Select a drive to read all about it. Next, click on the Recover Partition button to repair Windows corruption. Then, choose an appropriate option between restoring deleted data or a formatted drive. One can also select to display just item within with ‘Normal Data’ option. Then, click on Recover button. The retreival process will be executed. 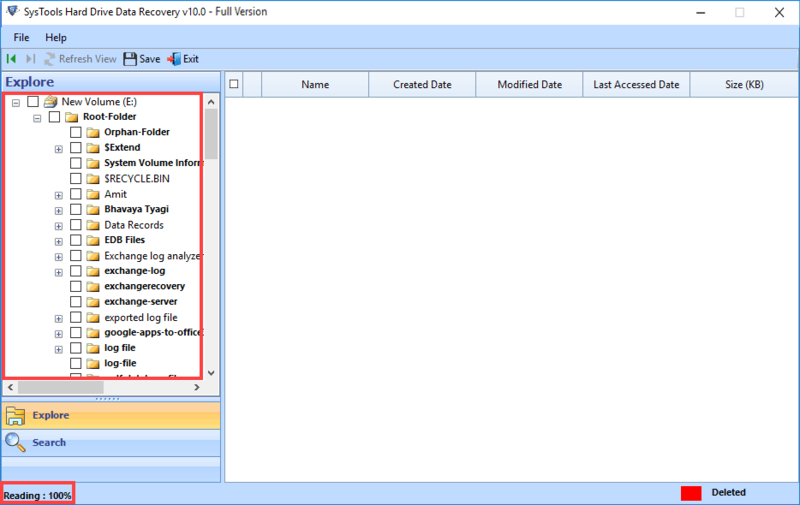 A complete report is generated with Windows Partition Recovery details. Item count for each file and folder is mentioned. Now, click on Search button to preview drive data. Next, enter a keyword or phrase to locate a missing item within the partition. Apply date-filter to simplify the search. Now, each file is displayed with corresponding attributes. Even the creation dates are same as in the original format. Then, select the folders that need to saved with the Windows Data Recovery Software. Mark the folders from the left side tree-view, right-click on them and choose 'Extract Selected Folder(s)'. 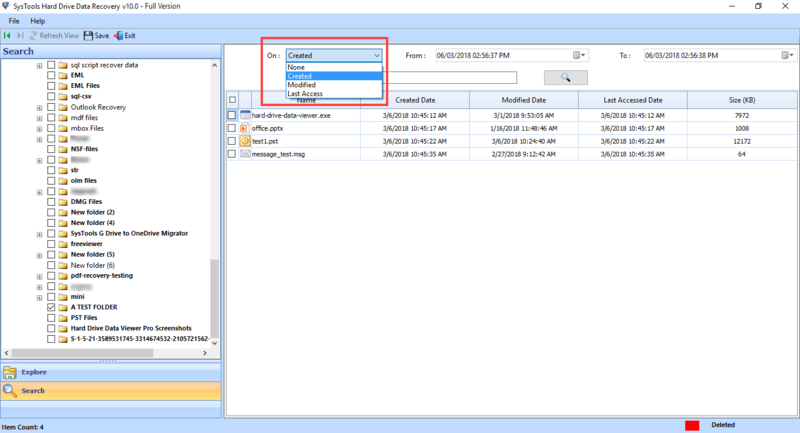 Next, select the files that need to be saved on Windows PC by marking each item from the central panel. Next, right click and select ‘Extract Selected File(s)’. 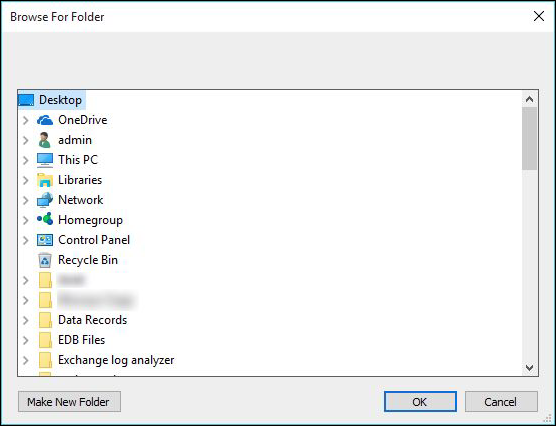 Then, select a folder where the chosen files will be saved by the Windows File Recovery Tool. Finally, the extraction process Completed successfully. "My Windows system crashed recently because of an infected attachment that I opened by mistake. I knew that all of my data was still there on the drive but I could not access them somehow. The virus corrupted my all my drives and made them unreadable. The Windows Data Recovery software helped me get back those files and save them on my PC." "A large number of problems are being faced by my grandparents using Windows 2000. It came to point where they asked for support from Microsoft but to no avail. 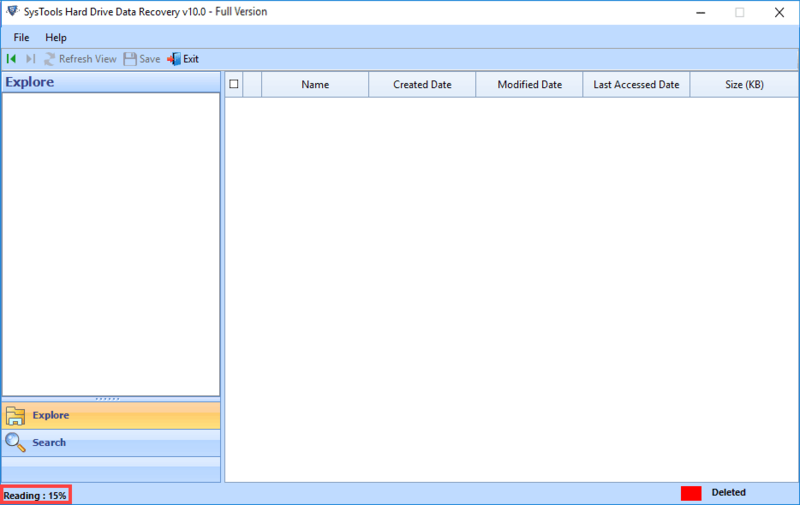 They asked me for help and I tried the Windows File Recovery utility. It that helped me to salvage all the all the precious memories stored in photos and videos. I archived them and upgraded the system."